Hanford’s corner of Dorset has much to offer when it comes to teaching Humanities. 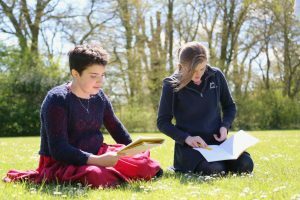 The open countryside on our doorstep is used as an extended classroom, while nearby a rich variety of museums, historic buildings and woodland not to mention The Jurassic coastline is used in many ways to bring the syllabus to life. In fact our quiet corner of the West Country is possibly one of the busiest and most inspiring places to be educated and at Hanford we make the most of what’s on offer both in our gardens and further afield. As far as the geography department is concerned all Dorset needs to make it the perfect place to study their subject is a working volcano. Topics such as the water cycle, settlement and erosion are all in evidence locally. At the river Stour, girls can see first hand how a river shapes the land. The top of Hambledon Hill is an excellent place to point out how landscape dictates settlement patterns, while Barton-on-Sea is probably one of the best places to witness costal erosion in action. When the weather is fine many lessons at Hanford can be taken outside. History is never far away at Hanford. We aim to foster an enduring curiosity about the past and how it has shaped us. The girls learn the rigours of source analysis and how to develop a coherent argument (on paper and in debates) alongside learning to research and explore a broad range of historical periods and perspectives. It is taught chronologically to give the girls a sound understanding of British History and how it relates to other world events. Years 3 and 4 explore the ancient history of Egypt, Greece, Rome and the Celts, Year 5 the Medieval period, Year 6 the Tudors and Stuarts, Year 7 the political turmoil of Civil War and Revolutions and Year 8 cover Britain and Empire 1750 to 1900 for Common Entrance. Lessons can be anything from frenzied newsroom reporting of the Great Fire, to building Motte and Bailey castles, impassioned balloon debates, and poster design to essay writing and source analysis. The girls go on a range of trips during their time at Hanford, including visits to the Roman Baths, the Ancient Technology Centre at Cranborne, a tour of the Houses of Parliament and workshops on slavery at M-Shed in Bristol. 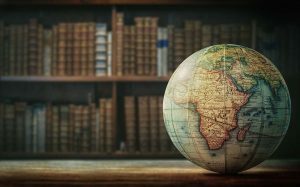 Written work in History aims to develop a pupils’ ability to communicate what they have learned and what they think; to support their ideas with historical evidence; and to structure their work intelligently – in other words, to develop skills they will need in the future, both in the history classroom and beyond. In the lower school, girls study the Old and New Testament and Judaism, with an annual trip to the Synagogue in Bournemouth. Years 7 and 8 examine the contemporary issues arising from their study of the Bible. They also explore the beliefs, philosophies and practices of the main world religions, in particular Islam, Hinduism and Buddhism. Girls are encouraged to develop a detailed knowledge of each faith and be respectful of each others’ traditions and beliefs. They follow the CE course Theology, Philosophy and Religious Studies. Increasingly, the girls are encouraged to form their own personal views, and to realise that, as long as they can defend them logically and intelligently, their ideas are important and valid. Through these discussions they are also led to accept other people’s points of view and to understand the value of other faiths. 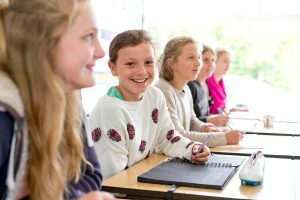 Religious Studies lends itself to meaningful discussions on all aspects of their lives and develops the girls’ awareness of their own responsibility, and their ability to influence their environment both at school and at home. 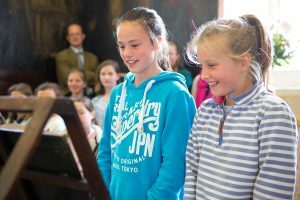 The aim of this course is to encourage girls not to simply accept all arguments and conclusions, but to question them to reach logical and reasoned judgements. We encourage them to be open-minded, test out ideas and to accept that they should be challenged by others. The course involves a range of activities to examine how we think, the difference between an argument and a rant, how to support an opinion with evidence and to think ‘outside the box’. Personal, Social and Health Education is taught against a backdrop of current affairs. Topical stories in the news are used as catalysts to spark discussion around a number of PHSE issues such as smoking, elections, charitable giving and fake news. Using this approach contextualises the more abstract issues of PHSE making them feel more relevant for the girls and easier to understand. We encourage them to form their own opinions by challenging their thinking and encouraging debate.